In stock -This product will ship today if ordered within the next 14 hours and 43 minutes. 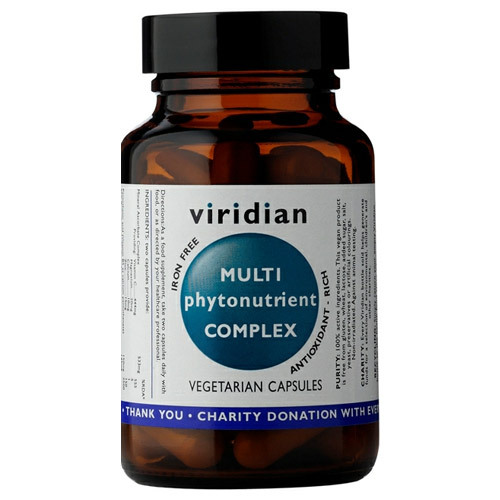 Viridian`s MultiPhytoNutrient Complex is formulated to combine the benefits of taking an excellent multivitamin with a strong phyto-nutrient complex. Designed to offer the key nutrients involved in energy production, anti-stress and cell support. Bursting with feel-good-factors, this two-a-day supplement is the ideal daily multi for those with especially busy lifestyles who want to look and feel their best. 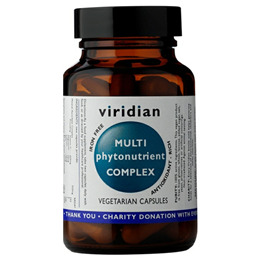 Viridian`s Multi Phytonutrient Complex is an antioxidant and proanthocyandin rich synergistic combination of vitamins, minerals and phytonutrients. Easy to take two a day formula. Multi ascorbate low acid vitamin C complex. Highly absorbable organic mineral chelates. Take a look at Viridian`s Multi PhytoNutrient information leaflet for more information. 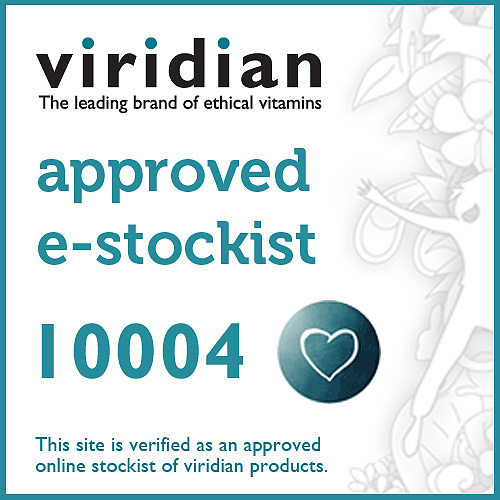 Below are reviews of Viridian Multi-PhytoNutrient Complex - 30 Vegicaps by bodykind customers. If you have tried this product we'd love to hear what you think so please leave a review.